There is a lot of sewing going on around here, but most of it is secret for now. 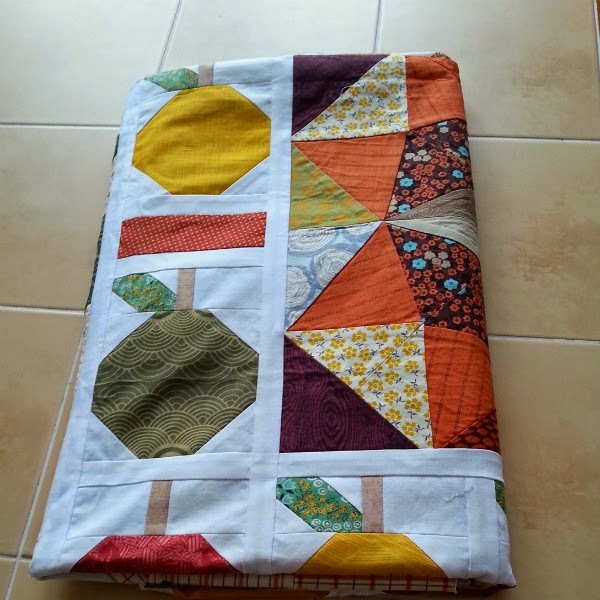 Secret sewing is fun, but it sure makes blogging tough! Here are a few little snippets I can share. Have you heard about Rachel from Stitched in Color and here newborn daughter Eleni? Eleni was born two weeks ago and has since been diagnosed with cerebral palsy. Jodi, from Tales of Cloth, quickly put together a plan to make a quilt to show Rachel and Eleni how much the quilting community loves and supports them. 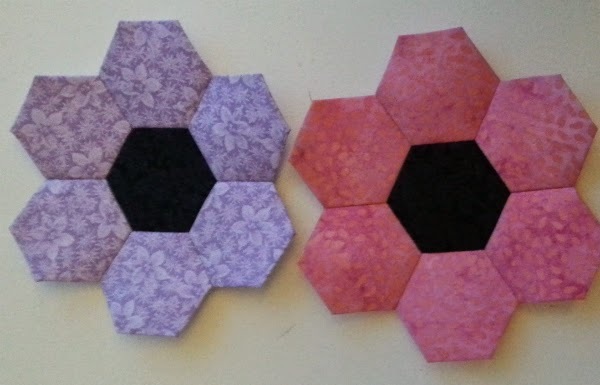 Jodi asked for hexie flowers with dark centers, so these two are now winging their way to Jodi in Australia. Visit Jodi's blog if you'd like more information, or check out #flowersforeleni on Instagram to see all the beautiful flowers that are being made. 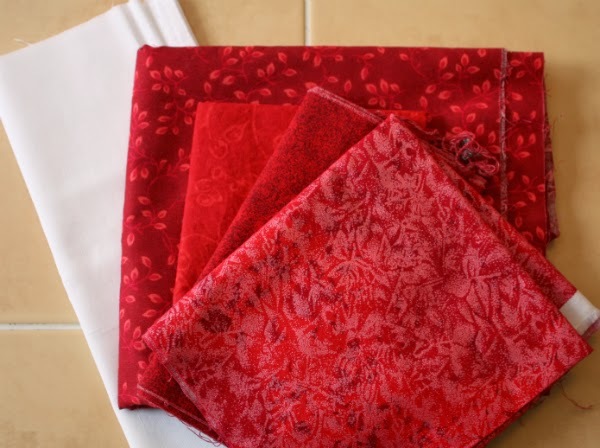 This red and white fabric pull is for a new epp project I've started. I'll probably share sneak peeks of this one, but it's for a swap, so I won't be showing the whole thing until it has been received. The quilt for this round of Round Trip Quilts arrived yesterday. This one belongs to Christina, of Wips and Tuts, and it is gorgeous! I already have a plan for what I want to add to it, so now it's just a matter of getting the time for it. Maybe I won't be sewing right up to the deadline this round! There are parent/teacher interviews this afternoon, which means no school for the kids, so the boys and I had a game of Qwirkle this afternoon. 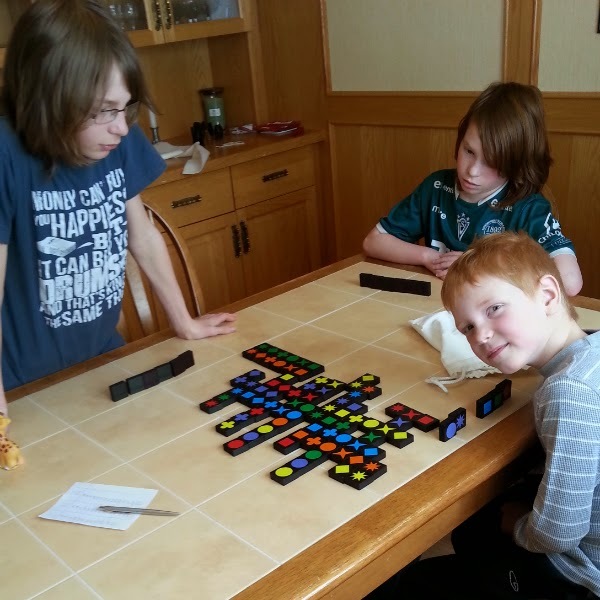 Nathan was the Qwirkle monster! If you've never tried this game, I highly recommend it. It's not hard to learn at all and appeals to both kids and adults alike. The box says it's for age 6+, but Nathan will be 7 in a few days and we find he still needs to have a teammate to help him, but that won't last much longer. How are you celebrating National Craft Month? Craftsy is offering a BIG sale with all online classes up to 50% off so that you can spend this month (and beyond) doing more of what you love. Money-back guarantee. Sale ends Monday - shop now! We're heading into a long weekend now, so I hope that means I'll have time to finish up another of my secret projects. I hope you're having great week! It sounds like you are busy! I think it is so generous of everyone to be making those beautiful hexie flowers for Rachel and Eleni. I love the round robin you are working on, I can't wait to see your addition.